Royal Marine Detachment of the cruiser HMS Ceres with the shipÕs senior Royal Naval officers as part of the Mediterranean Fleet, Grand Harbour, Malta, Summer 1928. The officers on the front row (seated) are from the left: Lieutenant G B O Farrington; Captain A J Landon RN and Commander V A C Crutchley VC RN. This Royal Marine Detachment of the cruiser HMS Ceres with the shipÕs senior.. Art Print is created using state of the art, industry leading Digital printers. The result - a stunning reproduction at an affordable price. 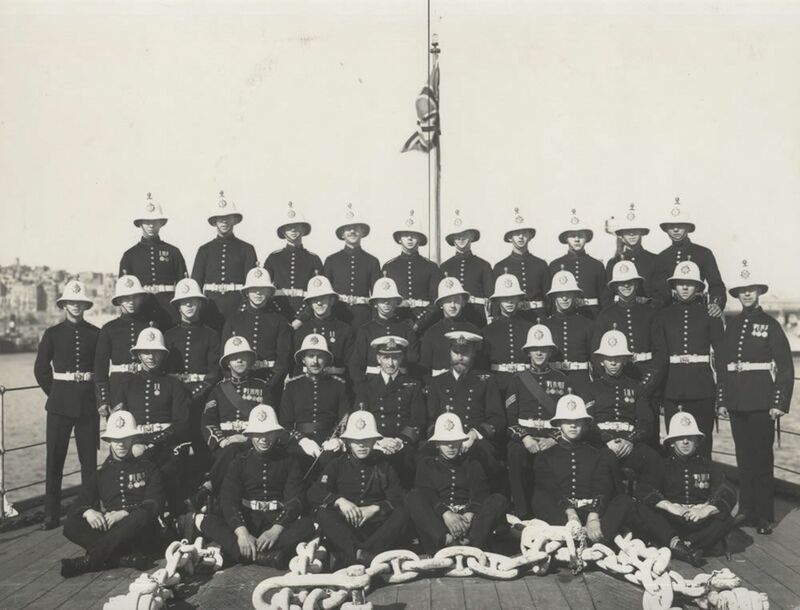 Royal Marine Detachment of the cruiser HMS Ceres with the shipÕs senior..